Turning, sitting, running, and a lot of other such activities are possible because of this miraculous joint right in the center of our body, called the hip. It supports the entire weight of the upper body during any physical activities. Injuries or other disorders may result in the dysfunction of the hip. While it can be cured using medicines and physical therapy but sometimes, one must go through a surgery referred to as hip replacement surgery. Hip replacement surgery is one of the most common surgeries that are undertaken around the world. 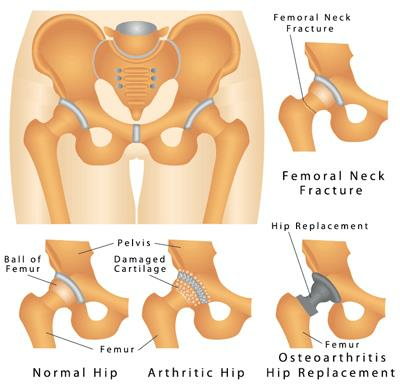 Arthritis is one of the major reasons that make a person opts for a hip replacement. The original joint is removed and an artificial joint made of metal and plastic is inserted. Hip replacement is the last resort and is only done in severe cases. Rehabilitation is one of the most important tasks to complete after a surgery. 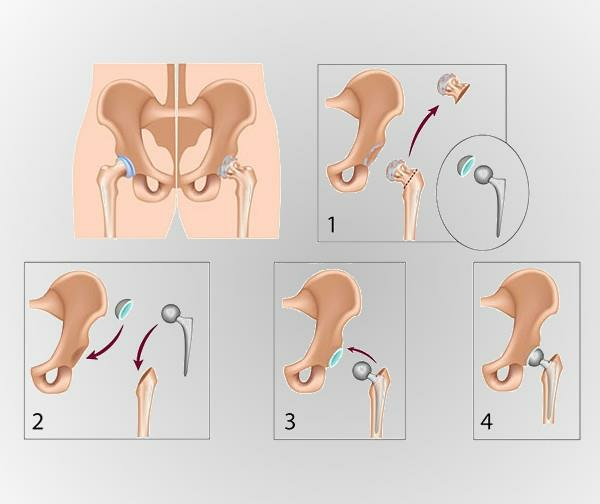 In a general hip surgery, the doctor makes a cut along the side of the hip and moves the muscles connected to the top of the thighbone to expose the hip joint. By cutting the thighbone with a saw, the ball portion of the joint is removed. An artificial joint is then attached to the thighbone using either cement or a special material that allows the remaining bone to attach to the new joint. You are kept in the hospital for about a week after the surgery after which you can go home. There are number of tasks one needs to perform after a hip replacement surgery. There are a number of precautions as well which you should take to ensure smooth and efficient healing of the hip. Physical therapy and exercises are two of the major things you are instructed to carry out after the surgery. They help in restoring the efficacy of the hip joint and also ensure that the hip works perfectly. Without the right kind of assistance and aid adapting to a new kind of life after going through hip replacement surgeries can be a difficult task. Technology has created a number of means through which a person can go through the rehabilitation period with comfort and ease. There are a number of tools and devices one can use that includes elevated toilet seats, patient lifts, foam pads, cuffs and braces, and post-hip replacement kits. They help us recover easily and comfortably. Having a hip replacement surgery can be a big step for any individual and one must consider the precautions and care that you might have to take after going through the surgery. Fortunately with the right kind of assistance you can adapt easily with the new life without any discomfort.